Who was this man and what made him great? 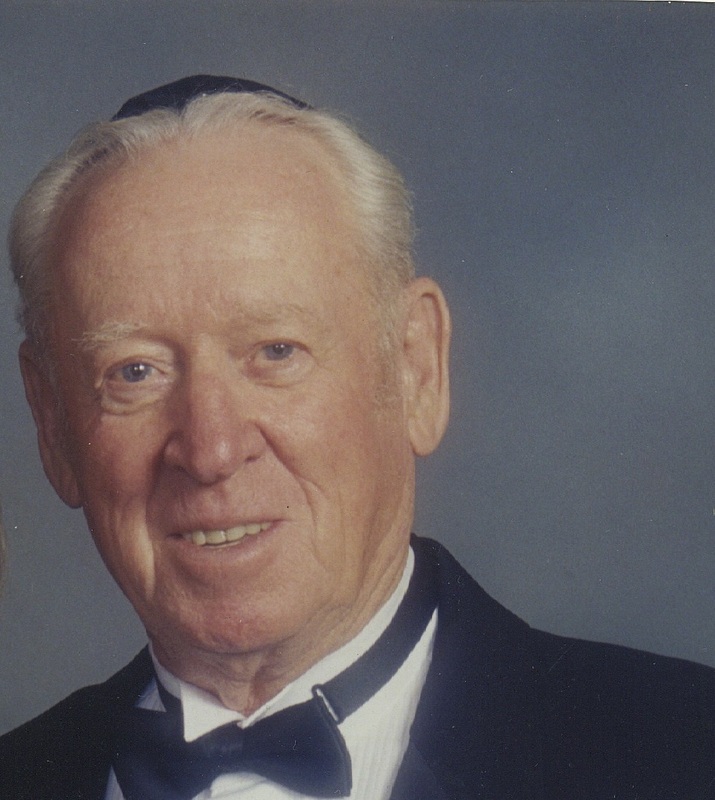 Completing the week of special remembrance for my father, Rabbi Nardus Groen, tonight and tomorrow is the Yahrzeit, Jewish calendar anniversary of his passing. To honor his memory I am posting a slightly edited version of the eulogy I gave at his funeral. Although I never had the good fortune of knowing any of my grandparents, I grew up my entire life hearing nothing but good words about my father’s mother and father. In the 65 years of his life that he lived without them, he gave them nothing but honor. He showed the example of how to honor your parents and passed it down. He spoke with affection of his sister who was a victim of the holocaust along with his parents. He raised us knowing our uncles and aunts and he especially had a close relationship with his brother David who was taken from his life at a much too early time. As a child he was such a tremendous student that he practically knew the entire Siddur by heart at the time of his Bar mitzvah as well as having a similar mastery of the torah by the age of 18. His photographic memory coupled with his love of Jewish studies made this a labor of love throughout his life. He made special friends. Friends that lasted a lifetime. Once you became my father’s friend you were a friend to the end and treated with unparelled warmth, respect and loyalty. From his early years till his passing, one of the hardest things for my father was watching all his friends pass on before him. The reunion taking place at this time must be one of glorious majesty. He knew that when his neighborhood was being cleared out by the Germans that it was a sign of something horrible taking place. He left everything he knew behind and understood that to survive he needed to take on a new identity. He knew the benefit of approaching things as they were, not as he hoped they would be. Most of us here today will never know what it was like to live through the horrible times of Nazi occupation. So many people were taken and those who survived did so only by the grace of God. One of my father’s favorites sayings was, Hakol Talooy B’Mazal, Everything depends on luck or fortune. Although to survive that horrible time one did need the fortune of God’s mercy, my father took on himself to battle, to fight. Not just for his survival, but for the survival of anyone else he could help. He saved countless lives during those years. His pragmatic nature allowed him to see past what he wanted to see and understand what was truly happening. He escaped 4 times from makeshift Nazi prisons and even once from a concentration camp. But his most heroic feat may have been saving his future bride, my mother from certain death. Not once, but many times over. In doing this so began a companionship of 2 people unlike anything anyone you will ever find. Little did they know at the time, but the relationship that began at that time with my parents, began with the birth of their firstborn son, and now stands at 23 offspring alone. Although one portion of his life was at its end, and riddled with tragedy, a new portion of his life was beginning, and his strength, his courage, and love of life was the driving force to what would turn into a familial kingdom. When you are the youngest child you tend to see it all from a different perspective. And I saw the love and pride my father had for my 3 brothers and my sister. You will hear this over and over, but nothing was more important to him than his wife and children. He had tremendous passions and many interests, but the greatest joy he could have would be to sit around a table with his family, and a bowl of my mother’s heavenly chicken soup and just talk. With the birth of his first son a glorious saga began, and throughout my life I saw the joy and pride his oldest son gave him, and I saw him develop into a man willing to allow this son to show the honor he felt for his father by letting him do for him in the way he knew how.. He was a Dutch marine, attached to the US Marine Corp only because once Nazi occupation ended my father wanted to continue to fight for what was right. He had tremendous pride in his time in the military and it was only his family values, the values that drove him most, that stopped him from a life as a career soldier. Once again becoming a father with the birth of his second son, I saw something very special in the relationship he had with someone with such similar personality traits. The same fighting spirit and love of family caused these 2 to have a relationship that was very special and needless to say, never dull. After the war he became a Rabbi and had various pulpits in different parts of the world. To my father though, being a Rabbi was not something that depended on having a congregation. It was something you lived. And whether he was the chief Rabbi in Surinam or at a point in his life where he chose not to practice, he was always a Rabbi. He was a great scholar. He learned regularly with a Rabbi who was known worldwide as one of, if not the greatest scholar of that era. My father’s knowledge of Jewish law was as great as anyone I ever knew and if there was a question to be asked, he knew the answer. Most impressively however, he loved the opportunity to give it. A father again when he and my mother finally made a daughter, and gave her the combined name of both her mother and his, my sister was always his little girl. The protective man he always was had him looking out for her at every opportunity. Their relationship was by her own words private, but clear to everyone, it was special. He was a provider for his family. We always had a warm home and a full refrigerator and as children never knew the difference between the good financial times and the ones not as good. He was proud when it came to these matters and would never allow it to even be a discussion, and since I never felt like I ever missed any essentials it was just fine by me. His love for his grandchildren manifested itself in many ways similar to his love of his children. He advised them, he talked with them, he taught them, and bragged about them. I never knew how painful it could be to a lose a grandparent till I saw it this weekend in the eyes of so many of my nephews and nieces. The loss for them was as profound as the blessing of having him was in their lives. He was a partner with my mother, always making the decisions that needed to be made, even if it meant that sometimes those decisions were difficult or unpopular. He was not known for romantic words or sentimental actions, but his love for her was as strong as a love could be. As his son I saw this most clearly at times when she became ill. For this was the only time when I saw a chink in an otherwise impenetrable armor. He had charm, wit, strength, passion, and love. He was a man, who sometimes said after the fact that he my have been wrong about something, but whenever he made a decision, he always made it because he felt it was right. For if he did not feel that something was right, he was unable to do it. And another one of his favorite sayings was Savlanoot oo’ beetechone, which in Hebrew means, Patience and Faith. For he know that with those 2 qualities man could overcome almost any obstacle. And of all the things spoken of my father and of all the great qualities he had, the one spoken of less often may be the one that was the strongest. What made him strongest was his heart. It was what made him generous, loving, caring, and a fighter till the very end. Literally till the very last breath. I have told you all many of the things that made this man great, but there was one I have not yet mentioned. And I personally saved it for last. Hakohl kohl Yakov, Vehayadayim Yeday Esav-(the voice is the voice of Jacob, but the hands are the hands of Esau). This passage from the Torah talks about how Jacobs voice was deceptive to Isaac and not the true voice it was trying to be. One time in my life when there were things going on in my life that were not as I wanted them to be, my father wrote this to me in a letter to make me aware that he knew I was in distress, and although I do not even remember what the problem was, I remember that my father’s awareness of it, was what made it ultimately go away. There are so many different things that made this man who he was and made him great. But what made him great to me was that he was my teacher, my guide, my friend, but most of all my father. I can smile and be happy for the wonderful relationship I had with my father. As I spoke with he and my father almost every day, even if it was only for one minute, to utter the Dutch words, Velte Rusten (Rest Well) and Gezond Veerop( Arise in health). As I say goodbye to you, the father I am so tremendously grateful for having for 45 years of my life, it is with all my love that I say Velte Rusten, and this time I say in Dutch, slaap met de goede engletjes (sleep with the good angels).